Tooth decay is one of the most common dental problems amongst adults and children, but many patients don’t think it is too detrimental to their oral health. It’s because patients expect a restorative treatment (fillings) to remove and refill the tooth, and that’s a possibility, but it’s not always guaranteed. There times when tooth decay becomes too severe to just require a filling. 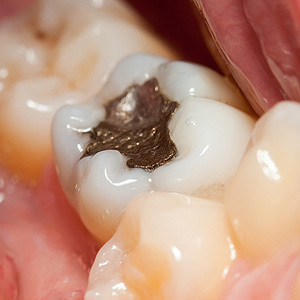 Mild decay is when the enamel is affected and tiny cavities are present. For moderate decay, there will be larger areas of enamel erosion and the dentin may be exposed. So severe decay involves the center of the tooth where the pulp is located, and pain (toothache) is more apparent at this stage. Patients become more sensitive to temperature change, experience swelling of gums and have sensitivity to food and beverages touching the decayed area. If tooth decay isn’t taken care of as soon as possible, bacteria will break down the enamel until it reaches the pulp. This can cause an infection and damage the tooth’s foundation. How does it affect Your Oral Health? Many patients tend to push back dental appointments, and that’s when the decay continues to go unnoticed and covers more of the tooth’s surface area. 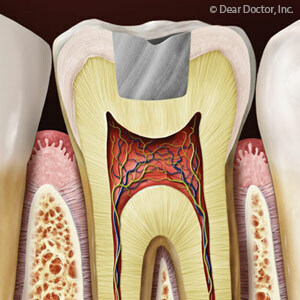 A serious tooth infection may need to be extracted or require a root canal. The further along decay develops, the risk to your oral health will rise. Are you exhibiting signs of tooth decay? Please call Karls Family Dentistry in Waunakee, WI—(608) 849-4100. We can help you solve your dental issues.